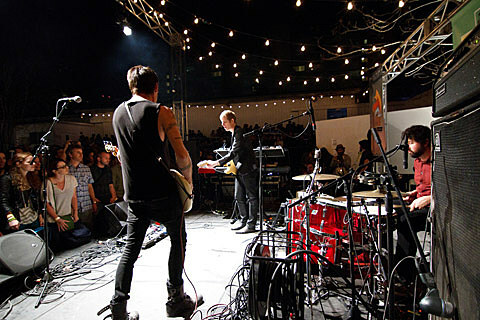 SXSW returns to Austin in 2014 across multiple venues fromMarch 7-16, and the first round of bands has just been announced. So far, it includes London Grammar, Calvin Love, Jessica Lea Mayfield, The Men, OBN IIIs, Pure Love, Royal Canoe, Saint Rich, Shakey Graves, SISU, Ski Lodge, Soldout, Teengirl Fantasy, Jonathan Toubin, Ume, Vockah Redu, Dot Wiggin Band, Deidre and the Dark, Doughbeezy, Kaytranada, Killa Kyleon and more. Badges are on sale now.